Explanation: What could have formed these unusual channels? Inside a small crater that lies inside large Newton Crater on Mars, numerous narrow channels run from the top down to the crater floor. The above picture covers a region spanning about 3000 meters across. 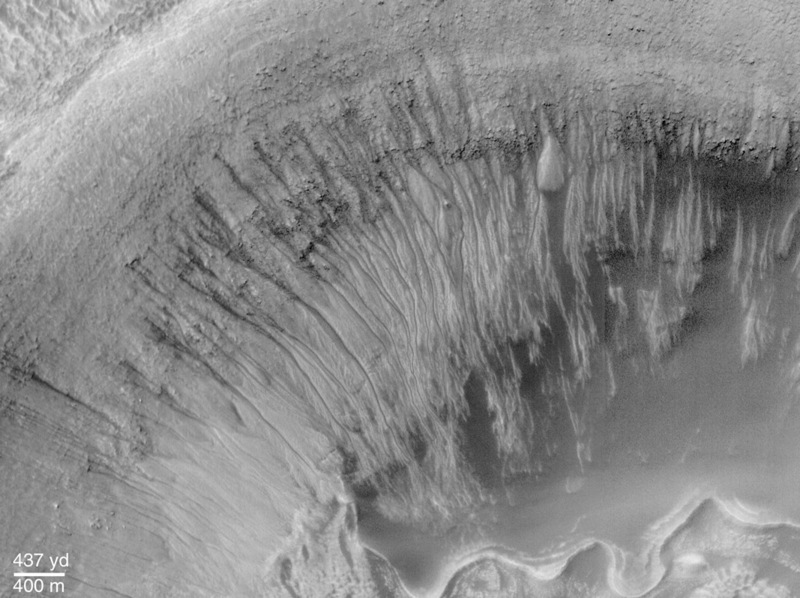 These and other gullies have been found on Mars in recent high-resolution pictures taken by the orbiting Mars Global Surveyor robot spacecraft. Similar channels on Earth are formed by flowing water, but on Mars the temperature is normally too cold and the atmosphere too thin to sustain liquid water. 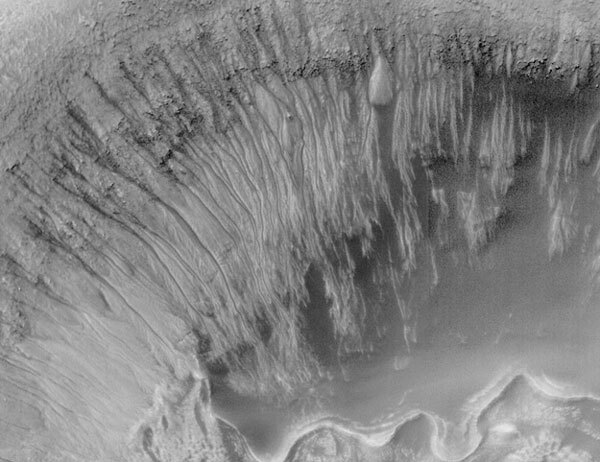 Nevertheless, many scientists now hypothesize that liquid water did burst out here from underground Mars, eroded the gullies, and pooled at the bottom as it froze and evaporated. If so, life-sustaining ice and water might exist even today below the Martian surface -- water that could potentially support a human mission to Mars. Research into this exciting possibility is sure to continue!